Why do 4-wheel suitcases usually have their wheels on the short side, rather than the long side? I find it hard to keep them on 4 wheels; one has to push, and if there is the slightest obstacle (such as tiles), it tends to topple over. I've never used such a suitcase. I've never seen that design in a suitcase. Why do 4-wheel suitcases usually have the wheels at the short side, rather than at the long side, and never at the large side? 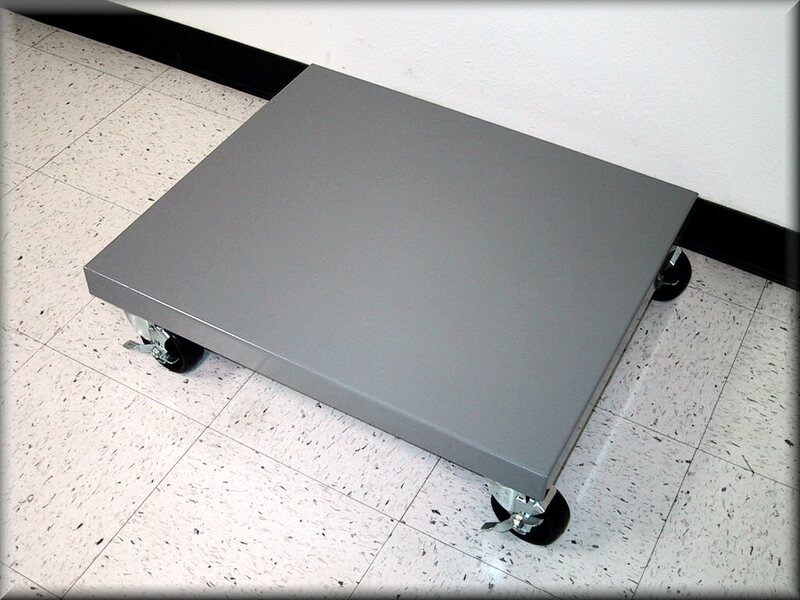 Carriers define a rectangular prism into which luggage must fit. The wheels and the air between them occupy some of that volume. The way to maximize storage volume (and minimize air volume) is to place the wheels on the rectangular face that has the smallest area. A tall bag requires less handle, which saves volume and weight. Having a tall bag means you can reach it while standing. The most stable orientation of a rectangular bag is on its largest side. Likewise, the most stable stack is made with bags all laid on their largest side. A stack that has wheels between each bag would easily fall over. 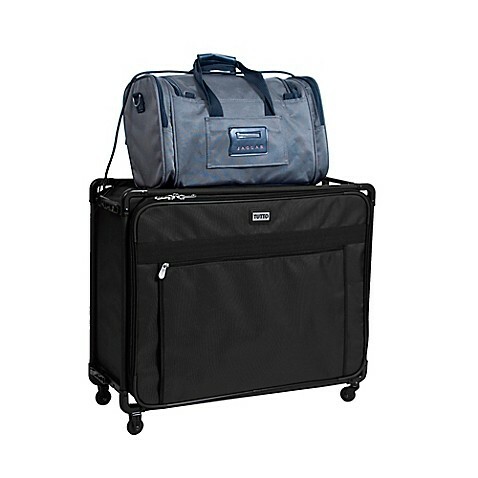 I used to own a 2-wheeled garment bag that rolled the wide way. It was awkward to maneuver in small spaces, because it was wider than me. The decreased stability of a tall bag is good for maneuvering. A tall bag is naturally a longer lever than a wide bag, which is why transitioning between 2- and 4-wheel rolling requires less force for a tall bag than a wide bag. The only wheeled suitcases I've ever had (and I've had a few and am also counting ones from my wife) were all models with two wheels on the wide edge, not the narrow edge. 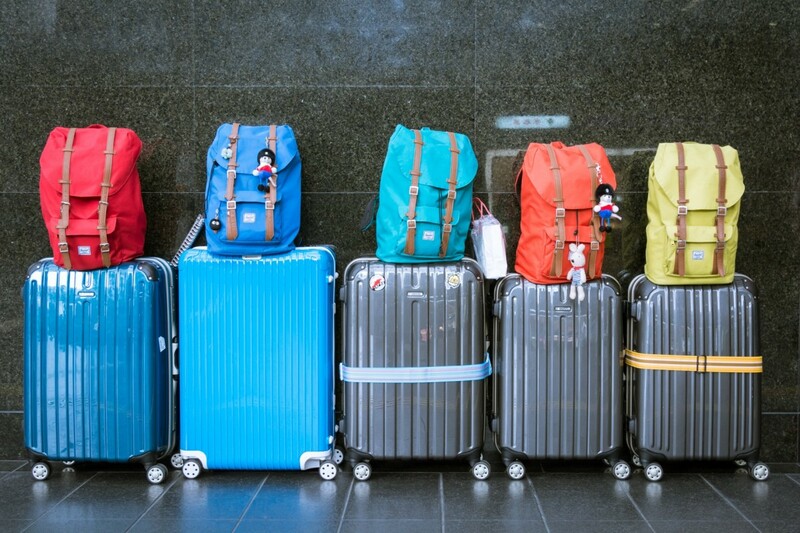 The suitcases you describe are designed to wheel along on the narrow edge because they are too wide to fit nicely through the aisle of a bus or train or to pass others on a sidewalk. With my suitcases, I've had more stability and less maneuverability, but I guess the trend is to go in the other direction, which is a symptom of overcrowding, especially in airports and cities, where you are likely to be trying to get around with a suitcase. The RSPA study below discusses the instability of a suitcase being pulled along on two wheels, and that may help you avoid the issue you have when trying to move one along. The reason they are positioned like that has less to do with the usefulness and more to do with marketability and store display space. they are typically displayed in a way that a customer can take one out and wheel it around to see how it works and to compare to others. if they all laid down, that would take up too much space and retailers could display or sell fewer. This space saving drive is also pertinent to crowded airports etc where a larger footprint would be cumbersome and cause problems especially during security checks. Not the answer you're looking for? Browse other questions tagged usability layout physical or ask your own question. Why do people mount TVs so high on the wall in their homes? Why does the Xbox controller have non-symmetrical analog sticks? Why do some cars have the fuel door on the passenger's side? Why do some cars only have a physical lock on the driver side? Why use 'fixed width' or boxed layout rather than fluid? Why is the accelerator pedal in cars are at the right side ? On water fountains, why the blue tap is supposed to be colder than the white one?